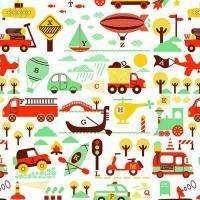 Help this clever little cat catch all of the fish! 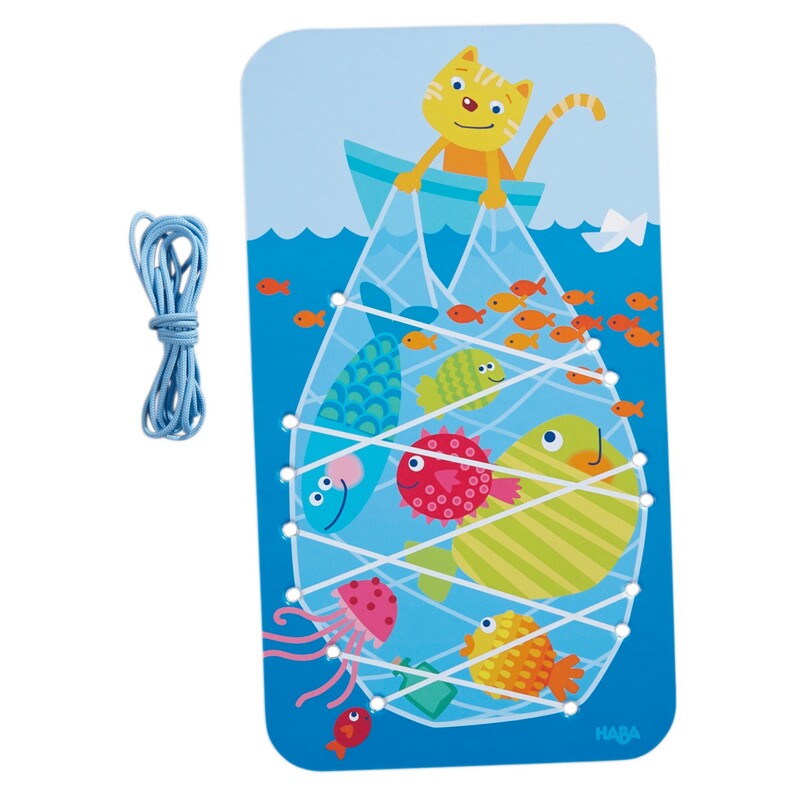 With the Catching Fish Threading Game from Haba Toys, little ones will learn to use their concentration, hand-eye coordination, and fine motor skills to skillfully thread the cord through the provided holes. 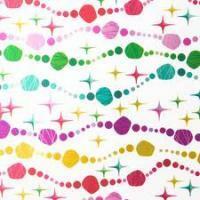 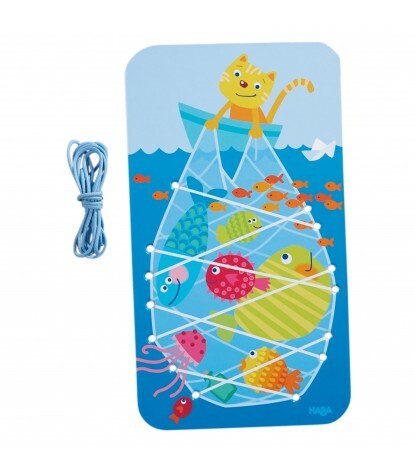 Follow the provided lines printed on this wood board and you're little ones will have a fresh catch in no time!